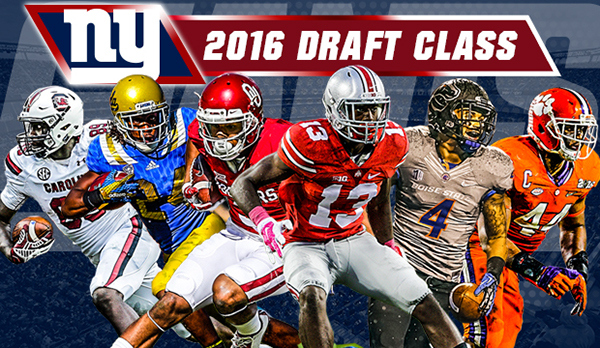 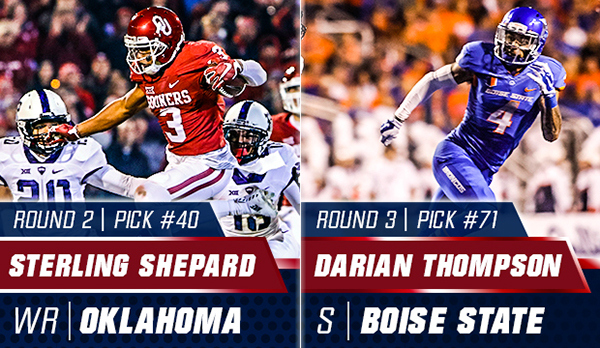 A series of graphics promoting the New York Giants 2016 NFL Draft on social media. 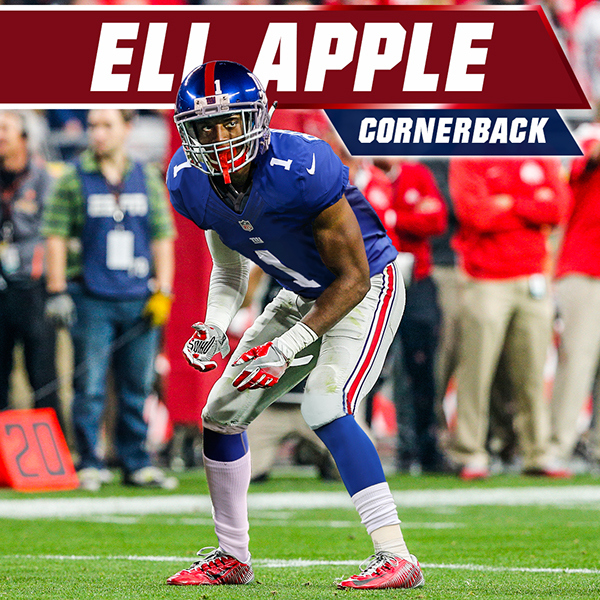 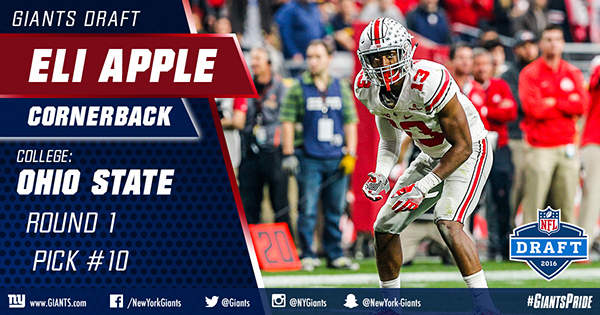 Giants first round selection, Eli Apple - Uniform swap. 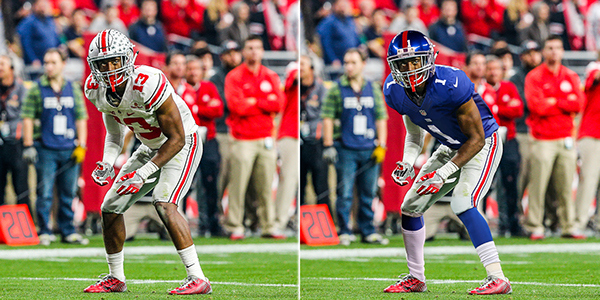 Unedited photo of Eli playing for Ohio State on left. 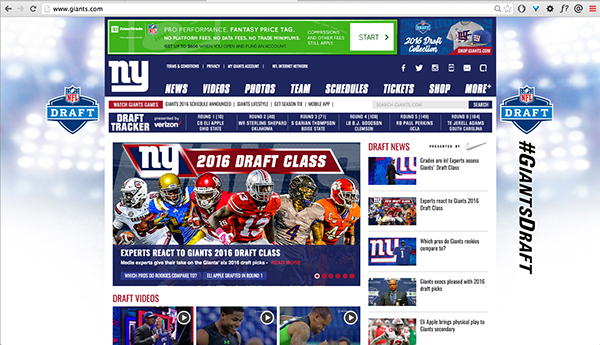 Photoshopped Giants uniform on right. 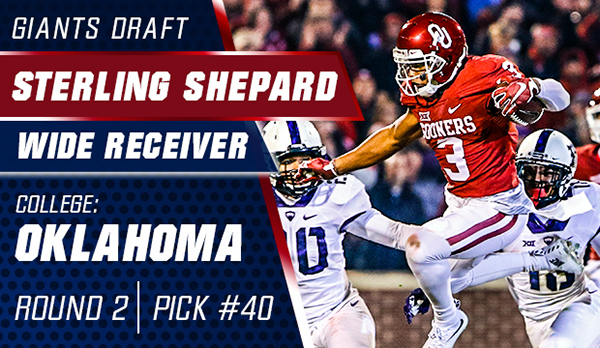 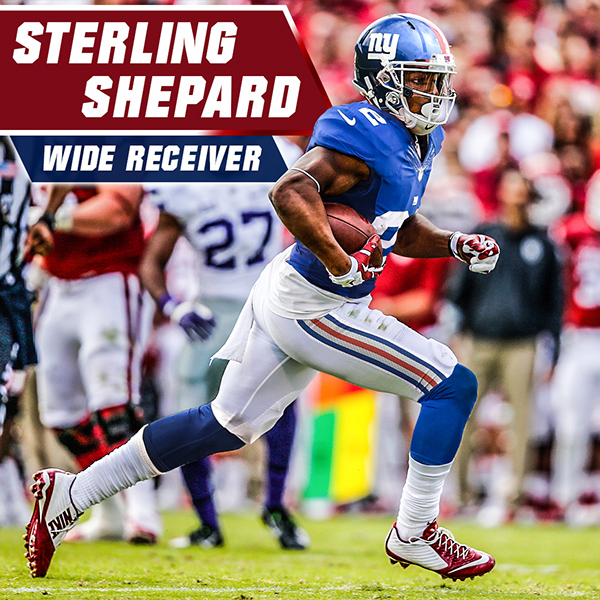 Giants second round selection, Sterling Shepard - Uniform swap. 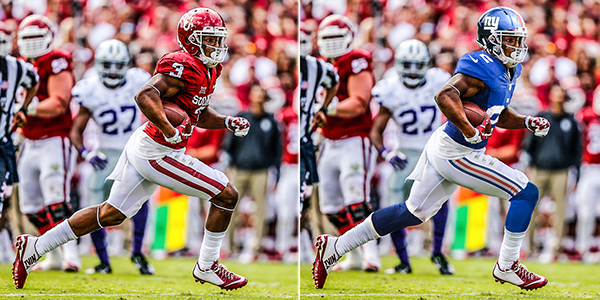 Unedited photo of Sterling playing for Oklahoma on left. 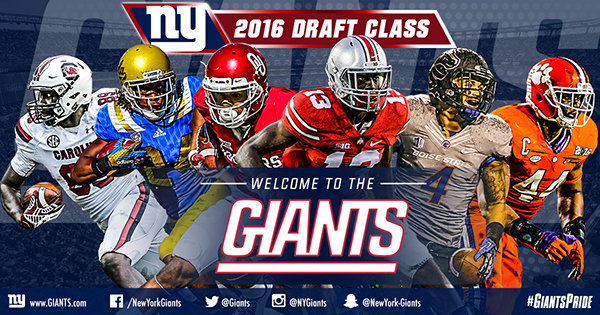 Photoshopped Giants uniform on right.